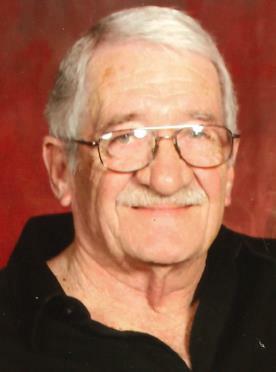 John “Johnny” Homer Walling, Jr., 76 of Oklahoma City, OK passed from this life April 13, 2019. He was born October 27, 1942 in Meridian, TX to John and Maudell (Stewart) Walling. He graduated from Waurika High School in 1961. He attended Texas Tech on a basketball scholarship and completed his Bachelor’s Degree at U.C.O. in Edmond, OK. John retired from Seagate Technology in Oklahoma City, OK, and also retired from D.L.O. Laboratory in OKC. John married Michelle (Zales) Bostick August 12, 1978. He was preceded in death by his parents John and Maudell Walling, mother-in-law Melba Zales, and daughter Shawn O’Connor. He is survived by his loving wife of 40 years, Michelle; daughter Pat and husband Gary; son John and wife Candice; daughter Jill and husband Dale; grandchildren, Megan, Sean and Amber Hall, Alex, Gracie and Mayzie Walling; great-grandson Joc Edwards; and also survived by brother-in-law W. E. Zales, Jr.; sister-in-law Denise Zales; father-in-law W.E. Zales, Sr. and wife YoVonne; and many nieces, nephews, and cousins. Visitation will be held Friday, April 19th with the family present from 5 – 8 PM at Moore Funeral and Cremation, 400 SE 19th Street, Moore, OK 73160. Funeral Service will be held Saturday, April 20th at 11:00 AM in the Chapel of Moore Funeral and Cremation with Noel Currington officiating. A Memorial Service will be held May 11th at 1:00 PM in Waurika, OK at First Baptist Church. Interment will follow in Waurika Cemetery, Waurika, OK. In lieu of flowers, John’s family has requested donations be made directly to the Special Olympics Foundation or the American Cancer Society.